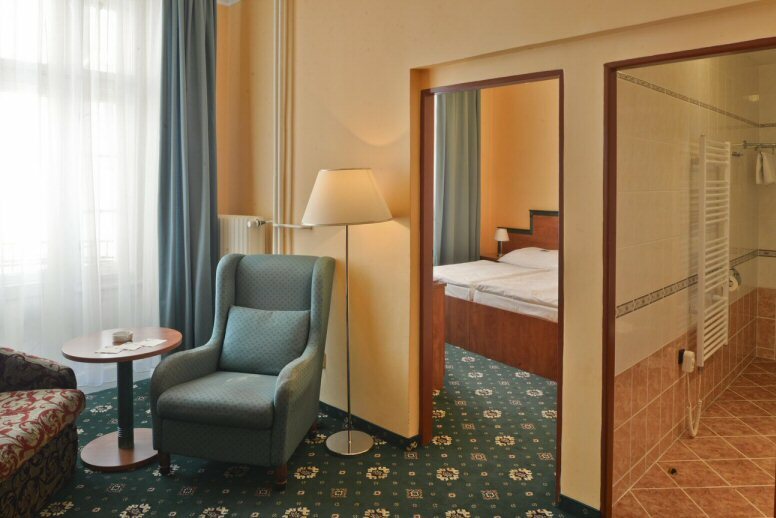 Spa hotel Jessenius is situated on the main boulevard near the colonnade and provides its guests with comfortable accommodation in pleasantly furnished rooms. Advantages offered by this hotel include in-house spa therapy facilities with a wide selection of spa procedures at guests‘ disposal. 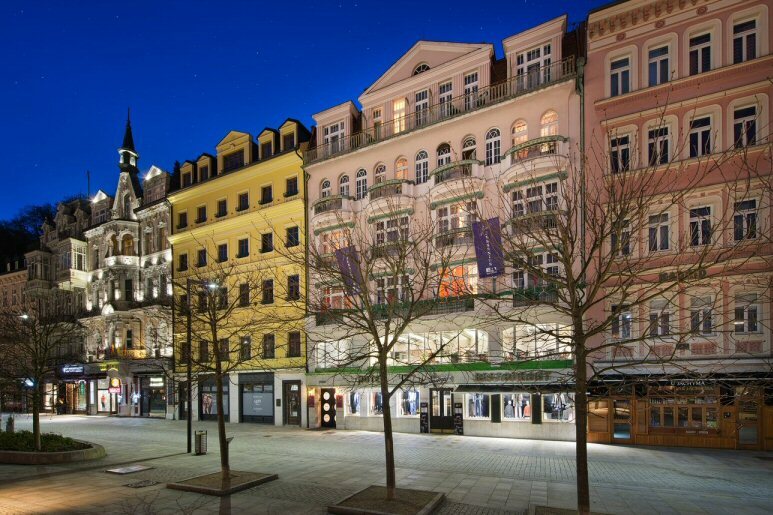 Hotel Jessenius Karlovy Vary physician is available to recommend a complete spa treatment based on a previous medical examination. Hotel offers among other treatments also traditional massages, electrotherapy, parafango, oxygen therapy, pneumo acupuncture, mineral water baths, drinking cures and dietary meals. The hotel guests can also relax in the hotel restaurant and in summer months enjoy summer terrace with a direct view of the colonnade. We believe that the hotel services will be appreciated not only by the spa guests but also by clients who come to Carlsbad to relax and gain new energy. 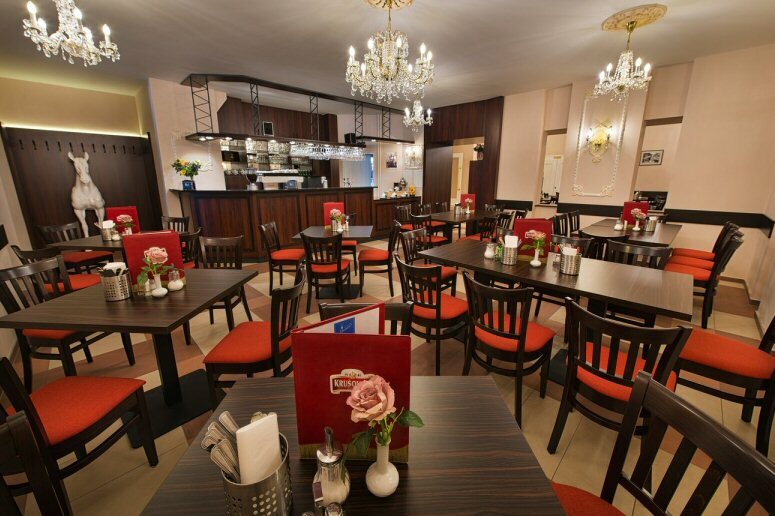 Buffet breakfast is included in the price of accommodation. 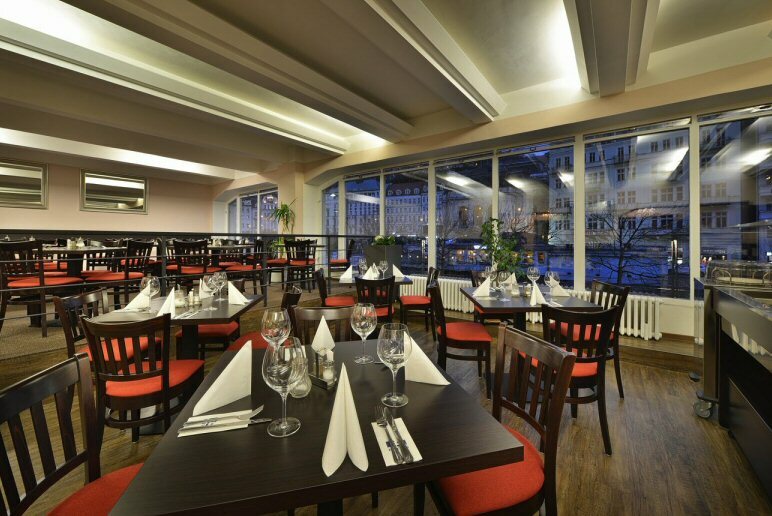 Restaurant in Hotel Jessenius Karlovy Vary offers its guests all day a wide selection of classic, dietary and vegetarian dishes. Summer terrace situated in front of the hotel provides its guests a pleasant milieu with a great view on the colonnade, which is ideal for tasting various cakes and relaxation after a busy spa day.